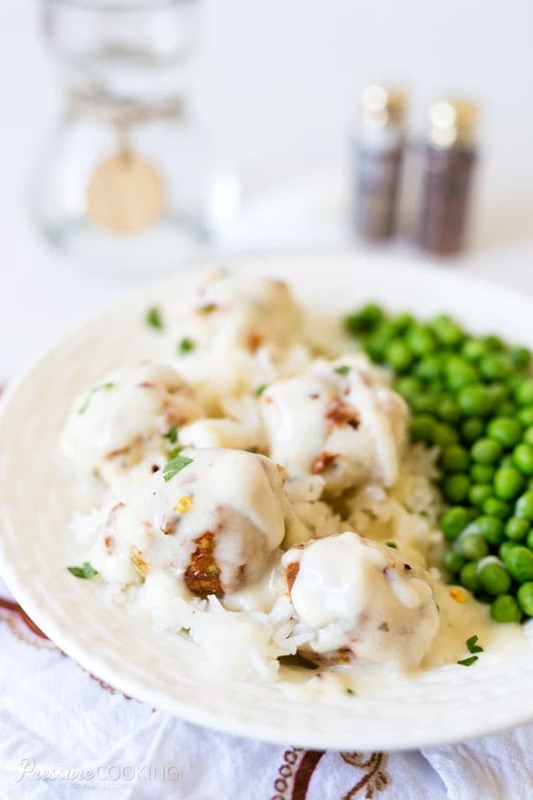 Chicken Parmesan meatballs in creamy ranch sauce is a quick and easy chicken meatballs recipe for your Instant Pot. Pressure cooker chicken Parmesan meatballs are packed with flavor and this cheesy meatballs dinner comes together in a snap. The Pressure Cooker Chicken Parmesan Meatballs in a Creamy Ranch Sauce were a big hit at my house. 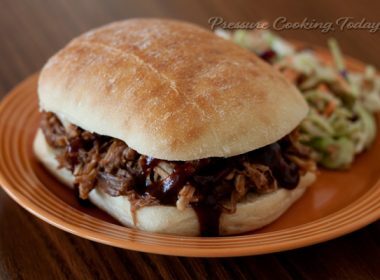 Genene Abraham shared the recipe in a couple of Instant Pot Facebook groups. She sent it to me to when I mentioned I’d like to give it a try. An Instant Pot is one of the most popular brands of electric pressure cookers. They are easy to use and your Instant Pot can help you create this delicious Chicken Parmesan Meatballs recipe! 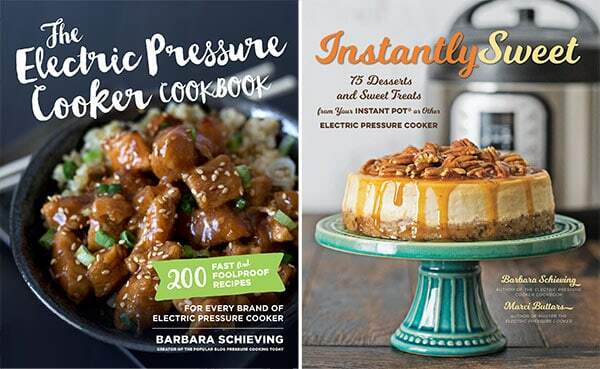 If you’re new to using an Instant Pot, be sure to check out my post on getting started with your new electric pressure cooker. Genene said she was looking forward to seeing what changes I would make to her chicken Parmesan meatballs recipe. The first one I made was to brown the meatballs in a skillet instead of the oven. We’ve been having 100 degree days this summer and the air conditioner has been working overtime without turning on the oven. Browning the meatballs after pressure cooking is a great technique and adds lots of flavor. A second change I made was to use Ranch Dressing Seasoning Mix instead of Ranch Dressing in the sauce. I had a Costco size container of Ranch Dressing Seasoning Mix so I substituted the mix and added sour cream to the sauce along with a little lemon juice. Ranch seasoning is delicious in SO many recipes. This Ranch Roasted Nuts Snack Mix recipe looks so good! I serve the Chicken Parmesan Meatballs over pressure cooker rice but they would be great over pasta or couscous as well. 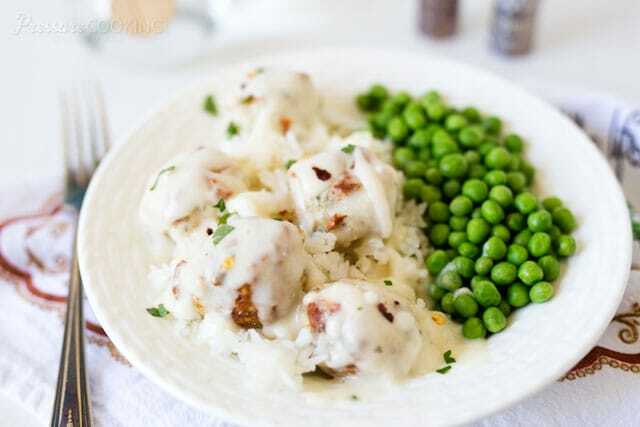 Definitely give this easy chicken meatballs recipe a try. Thanks Genene for sharing it! In mixing bowl mix ground chicken, breadcrumbs, Parmesan cheese, onion, garlic, parsley, salt & pepper, and egg . Form into golf ball size meatballs. Refrigerate for 30 minutes. Add the chicken broth and ranch dressing seasoning mix to the pressure cooking pot and stir to combine. Spray a trivet or steamer rack with non-stick cooking spray. Place the trivet into the pressure cooking pot and place meatballs on the trivet. Lock the lid in place. Cook on high pressure for 5 minutes. When timer beeps, do a natural release for 5 minutes, then use a quick pressure release to release the remaining pressure. Heat a large skillet on high heat. Add vegetable oil and quickly brown meatballs on two sides. Select saute on the pressure cooker and bring the chicken broth to a gentle boil. Whisk in cream cheese. In a small bowl, dissolve cornstarch in water and add to the pot. Simmer until sauce thickens. Stir in lemon juice and sour cream. Remove the pressure cooking pot from the pressure cooker and add the meatballs to the sauce and stir to combine. Let rest 5 minutes before serving. Serve over white rice or noodles. Garnish with additional parsley if desired. Wow, these were incredibly good. Thanks for sharing this recipe! Thanks Maggie – glad they were a hit! That’s so nice – thank you Elizabeth! I don’t get double cooking the meatballs. If you cook in pot all the grease and water goes into the broth and ranch anyway so you are not eliminating it. It just now all in the sauce. And then you take them all out into a skillet and cook them some More and add back. Seems to me you would sauté meat in insta pot, mix ranch and brother together pour over top and cook. Just seems like a lot more work for something called an insta pot! 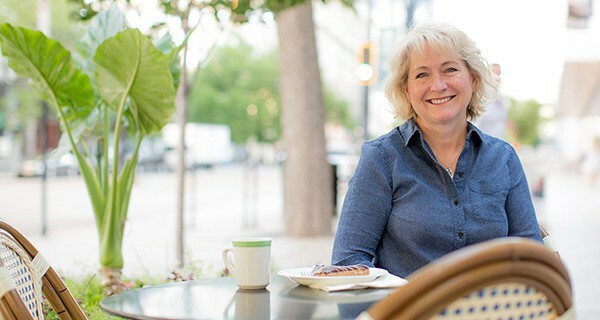 Hi Terri – you could brown the meatballs before pressure cooking, but you’ll get more flavor on the meatballs browning them after – and they look more appetizing. Since they’re ground chicken meatballs, there isn’t much grease that goes into the sauce, mostly just liquid / flavor from the chicken. Instant Pot can be misleading, but it is a great way to cook. oh the typos so sorry! It was early and the ipad is not “me” friendly! I plan on making these today, going to try browning them in the pot and see how it goes. I understand the better flavor for sure. I’ll let you know how it goes! I made these for dinner tonight and my family loved them, even my extremely picky son cleaned his plate! They were so moist and the sauce was perfect with them. Do you by any chance know the calorie count for the meatballs? 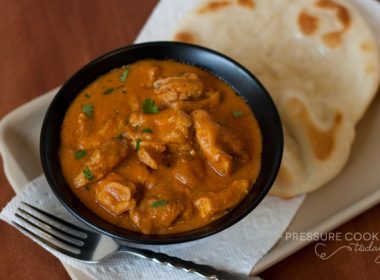 I don’t have a pressure cooker, can I use a slow cooker or the oven? I’m a beginner!! Looking for IP meatball recipe w/o red sauce (hubby wont eat). This is only one I found. 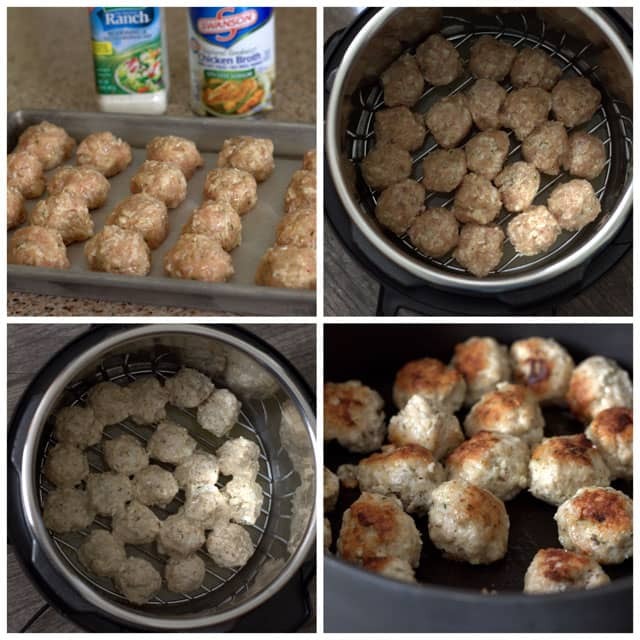 This recipe looks like the meatballs are steamed/cooked above the liquid? Can you only cook one layer at a time? I bet IP meatballs are moist??? Thanks for your reply. When you put the meatballs on the trivet; is the broth and ranch already at the bottom of pot or is that two steps?? Hi Crystal – yes, you add the broth and ranch dressing to the pot – stir, then add the trivet, then add the meatballs on top of the trivet. Hello all! I have a bag of frozen turkey meatballs. Could these be I used? 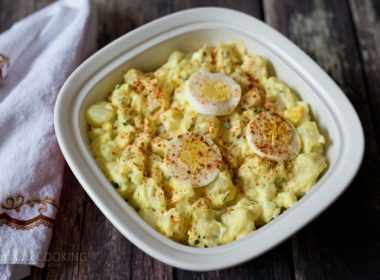 if so how would you adjust the recipe? Could I throw them in with chicken broth and ranch mix for the 5 minutes, then complete sauce? Thank you in advance, I have some I bought for company and just want to use them up! Hi Mary – yes, I think that would work well. They’re probably already browned too, so you could skip that step at the end. Is browning the meatballs absolutely necessary? I loved it! So delicious. I’m not a great cook but this recipe was easy and the end product was worth it. I used low fat sour cream, 1/3 less fat cream cheese and ground turkey. I will make this again, for sure! Thanks Barb! Good to know that it works well with turkey too. Oh this was Horrible..!!! I was so excited to make this. I followed the directions to the T. Everything came out like it should but the sauce was just weird. Way too ranchy. I was hopeful that it along with all the ingredients would just magically mesh in a way I’ve never tried before but it didn’t matter, couldn’t taste anything else other than the ranch. I’m sorry for leaving a bad review but I wish I would have seen someone say that so I wouldn’t have wasted so much time putting all of this together. ? I’m am excited to use the meatball method again just not the ranch sauce. Hi Amber – sorry you didn’t like it. I wonder if you maybe put 2 tablespoons ranch mix instead of 2 teaspoons? I goofed up. I’m sorry. You can delete my comment. I’ll tell you what I did… I used two packets of ranch. 2! ? I’m so so sorry. Thanks so much for taking the time to update your comment. Your husband does sound like a real trooper. This recipe is a keeper! Deeeelicious! I used ground turkey instead of chicken with no problem. They were so flavorful that my husband, a beef lover, didn’t suggest that I should make them with beef! I made this for my family yesterday and it was AMAZING! We all agreed it will be on the rotation in the colder months. 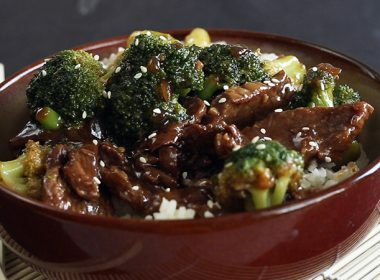 I served it over rice and will need to double the recipe for our family of six. 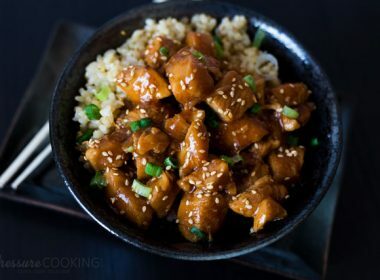 Thank you for giving me another easy recipe for my instant pot! Thank you for this recipe. It looks delicious…. I’m going to try it today for our family dinner! Just a quick question. Are you really supposed to put lemon juice in the meatballs as well? It is on the ingredients list once, but the directions in both the meatballs and the sauce. Hi Jenn – Maureen added lemon juice to her meatballs, but I decided to add it to the sauce instead. I’ve updated the recipe. Thanks! I can’t wait to try this, Barbara and Genene.? I just received this recipe today and I must say cooking the meatballs in the pressure cooker first then browning them is brilliant!!!! All the fat drains away in the pressure cooker leaving very little in the meat when you are browning in the skillet! Great idea!!!! A must try for beef meatballs as well…. Thanks Barbara! Genene always shares her delicious dishes. Now, between her original recipe and Barbara’s tweaked version, it provides a way to use what you have on hand, as well as adapted to the season — use a skillet when it’s hot, the oven when it’s cold. Nice job ladies! So happy that you tweaked it and enjoyed. We really like the this recipe quite a lot. The only reason I used Ranch Salad Dressing was due to not having the Dry Ranch Mix on hand and I still need to pick some up. I think I will brown the meatballs in the skillet next time as we are having temperatures of 102 this week. Thank you Barbara.